I love teaching and training as it provides me the opportunity to facilitate learning and thinking as a collective and applied process. The energy that builds in the room as I work with students in understanding theoretical knowledge and bridging personal experience is exciting. From the moment I step into the room, I am aware of each of my learners, and make it a point to try and connect with as many of them within the allocated time. I must admit that I find it hard to stay still behind a podium, as I am used to moving around with my wireless mic and engaging learners through questions and dialogue. 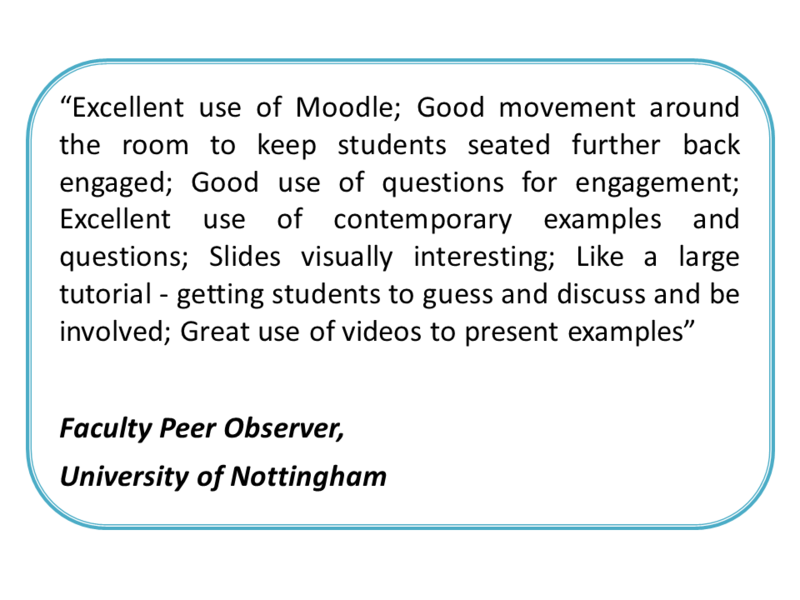 I often find that I get excellent reviews not just in engaging with the content, but in engaging with learners – whether it be a small class or one as large as 150 students. The biggest learning experience I have had to facilitate is with medical doctors and nurses – almost 400 of them in a large public hospital auditorium. That did pose a challenge to work the room, but I manage to climb all 3 aisle steps and reach as many as I could with conversations over the mic that helped the group connect with the material. For me, effective learning is the art of engagement that uses dialogue, experiential and visual learning. Almost all courses I build are built from scratch – constructed and deconstructed – till I am satisfied it is simple and valuable for when I present to the learner. It must connect to their experience. One area that many of my students and I share is the frustration of sitting in a lecture that is not only chalk-and-board, but where the instructor is unable to connect to different learning styles or modalities. Being a visual learner myself, I believe presenting the materials to learners must help them visualize and “feel” what is being discussed. This is where I spend energy in creating visually stimulating powerpoints and identifying (or producing) videos that capture key areas of learning, as well as nudge the imagination. It is my attempt to re-create the world within the space of my classroom as we learn about the world. Emerging from my own experience of effective learning, the relationship we build with our learners is crucial. Learning is as much an emotional experience as it is a cognitive one. So in preparing for every class, I also take time to center myself so as I am cognizant of the psychological atmosphere I create in the room. When I get a sense that students are feeling a bit down or stressed (usually when nearing assignments or exams), I incorporate quick exercises from my corporate training or use humor. Sometimes, it is in the little acts of “silliness” that generates energy towards wisdom. My focus is also on building group cohesion, and this can be challenging when students are new or have their own little groups. Group cohesion becomes important as we engage in peer learning and support. When students feel safe, for example to ask any questions or clarify any doubts, our learning environment becomes more effective. Developing and varying discussion groups, and developing small assignment groups have been useful tools for me in cohesion building. Different assessment modes are used throughout the semester - classroom participation, in-class group activities, quizzes, group assignments, and a final exam. I design my assignments to focus on current issues, and in challenging students to think of creative ways of applying learnt theories to address current issues and difficulties. Students are sent out into the community – to be up-close and personal with professionals and key people already involved in these issues. In doing so, students integrate research into the course. They develop research skills, critical thinking, interview skills, how to design surveys and construct data collection tools, the elements of ethics, and valuing human subjects protection. Finally, I find it valuable to contextualize what is being learned to both local and global social environments. Having lived in various multi-cultural environments, I find students appreciate the ability to connect and the applicability of learning areas in their lives. In Malaysia, for example, while we may use a textbook from the United States, information needs to be contextualized to an Asian culture. Much of this is done by facilitating discussions on student’s perceptions and experiences within the local culture. For example, in discussing sexual violence in the workplace, students are asked to think about what is happening within local communities that may be socializing young men towards violence against women. In short, learning and teaching is my lifelong journey that I share with my students and peers that travel the land – electrifying minds and empowering communities by the questions we ask and the efforts we make together in nudging our world forward. 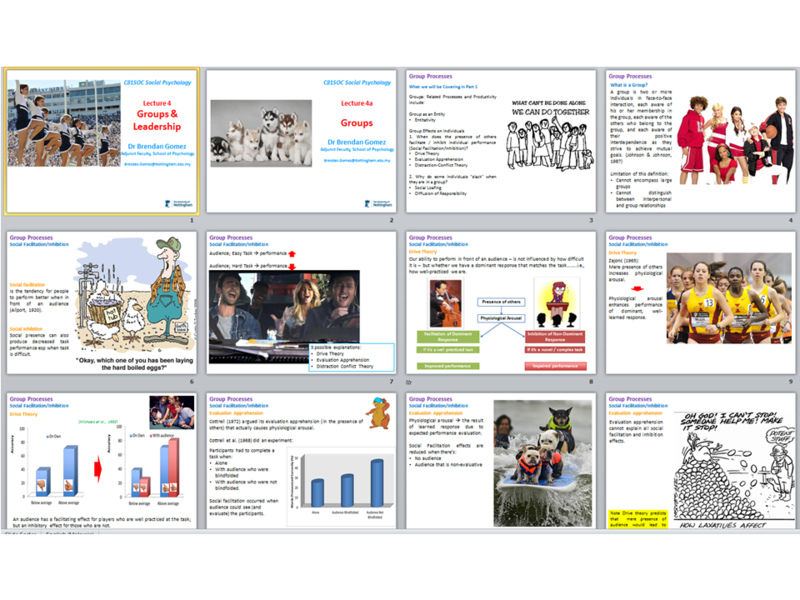 I create powerpoints and find visuals that best illustrates areas of knowledge I wish to communicate. Sessions are interactive and student-led discussions and presentations are encouraged.